How many stars do you give Naked Palette by Urban Decay? 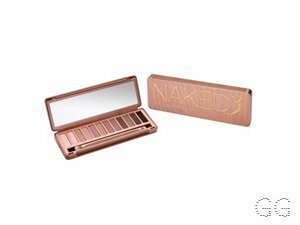 Urban Decay Naked Palette is available to buy at Fabled, and Debenhams. Easy to use, incredibly versatile. As I'm getting more into makeup I find myself loving more and more of the shades. Subtle everyday business look through to blingy, you can do a lot with this. Not quite enough mattes for my liking, so it's not quite a one stop shop, and it is still a bit too warm for my taste (but in the current market a heck of a lot better than other options for us cooler toned girls). Some shades are more problematic than others in terms of application/ fallout, but it's fairly trivial. Dislike the packaging. Plastic or metal is a much better idea. Love the brush. I have a backup now it's been discontinued, which I think is a crying shame. I am in my late 20's/early 30's with combination, light tone skin and blue eyes. My hair is dark brown, oily with normal texture. This is one of the first make up palettes I ever fell in love with, I have had 2 of these palettes and would definitely buy another! It’s great for beginners to come up with some beautiful simple looks, it’s easy to blend lovely pigment and its definitely my go to palette! Worth the money! I wear this palette everyday. It has beautiful colours in it which are easily buildable so you can add to it if your needing to go from work to glam in a hurry. A total one stop shop palette for all your eyeshadow needs . this pallet is so beautiful. it allows you to create such a variety of looks and styles simply through the selection of shades. 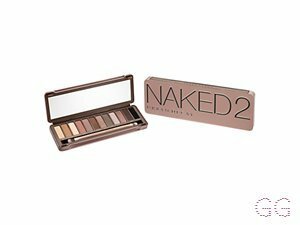 It’s versatility is what makes me think it is the best out of all 4 Naked palettes. The main shades are beige, brown and gold, with Virgin, Sin, Naked and Half Baked great for everyday wear and Smog, Dark Horse and Side Car great to develop a more intense dramatic party look. All shades are very compatible with the pigmentation allowing great coverage. 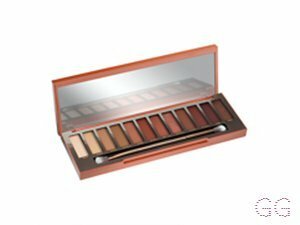 If you purchase the Naked1 palette you can create such a selection of shades and looks that it becomes unnecessary to purchase anything else to create a eyeshadow look of your choice. You can grab your Naked1 palette and feel capable of creating greats varied looks, no matter what your makeup ability. I have had my Naked1 palette for around 2 years now however there is still plenty of product left (apart from Half Baked which i use more intensely, its my favourite shade for everyday wear!) Overall, I would 100% recommend the Naked1 palette, it’s brown golden shades are fantastic for girls who have a warm colouring and can allow you to create such a variety of looks it’s great for every occasion. 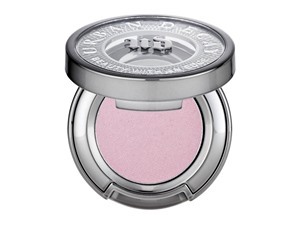 I would recommend this product to girls with Brown and Green eyes as the copper tones really bring out the eyes. In addition, the palette comes complete with a mirror and eyeshadow brush, Great for newbies who don’t have many brushes - and the brush is great! Large enough to cover the whole eye lid but also allows great blending. GlamGeekClaire, Amestarz and nikola300 and 3 others like this. I am in my late teens with dry, light tone skin and blue eyes. My hair is blonde, dry with fine texture. Lickle-Boo, nikola300 and jasminedaisy like this. I am in my teens with combination, medium tone skin and unknown eyes. My hair is unknown, unknown with unknown texture. i was able to pick this up on debenhams and im glad, very natural shades with a couple darker shades which i like, trying not to yse this as it is discountinued so dont wanna have a thousand backups! but its a great palette to have in your collection, girls and guys pick up before it is gone!! Lickle-Boo, nikola300 and Morgan13 like this. I think this product is fairly nice and smooth..... And can be used for a simply basic look...... 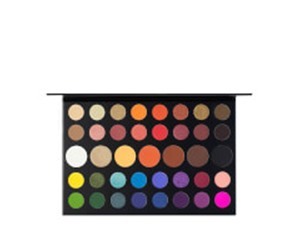 This palette can give u a nice amount of look from smokey eyes to soft glam.. I would recommend this. I am in my late teens/early 20's with oily, brown tone skin and unknown eyes. My hair is unknown, unknown with unknown texture. 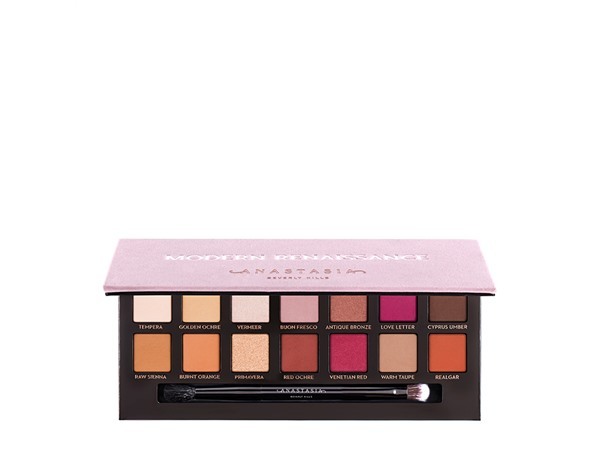 This palette is my favourite for an everyday natural look.It includes twelve nicely pigmented and blend-able shades all of which look great on the eye also I found that when you do the tap test with your brush there isn’t much fall-out at all! A great look besides natural that you can do with this palette is a smokey eye look for this I love to use the shades ‘gunmetal’ and ‘mustle’.The only negative thing I would say about this palette is that for someone that likes to use matte eyeshadows like me,there aren’t really a lot of them in this palette.I feel like there a too many shimmery shades but that won’t be a problem for anyone who likes a shimmery glam look so I don’t feel as though that is a massive issue.In terms of price I feel like it is a reasonable price for the quality of this palette.It retails at £39.50 in most shops so it isn’t the most expensive palette for a high end brand which I think is great! It also has a cute little mirror underneath the lid and comes with a good quality brush. I love this palette so much it’s such a classic and so worth the money!  GlamGeekClaire, Lickle-Boo and Cassiej and 9 others like this. I love this palette for a natural look.The shadows are very pigmented and apply very easily,they don’t have much fallout that I have realised.The shivers are very pigmented and metallic there are also a variety of colours in the metallics for a all over the lid,these are very good for beginners that don’t mind spending the money.Another good thing is that it comes with a decent sized mirror so it can be a travel or on the go palettethe only thing that I wish was different is that there aren’t enough matte colour choices. MakeUpGeek, Lickle-Boo and Amestarz and 9 others like this. I've had my naked palette for ages and always reach for it when I need a nice neutral eye. It has beautiful brown and gold tones which go very well with dark eyes. As usual for UD, the colours are nicely pigmented and last for a long time. Could do with some more matte options, but otherwise this is a fab palette. Best eyeshadow palette ever. You can do a really subtle eye with the paler colours, or you could do a super smokey look as well. All of the shades are pigmented, blend easily, and wear for a long time. Plus, the brush that is included is great. One downside is that I wish there could be a couple more matte shades. I am in my mid 40's with combination, light tone skin and blue eyes. My hair is blonde, processed with normal texture. Lickle-Boo and Cassiej like this. Perfect colours, they have a nice look to them and it’s also really easy to blend. Would definitely buy it again. I am in my late teens with oily, light tone skin and brown eyes. My hair is blonde, normal with fine texture. Peapea and Amestarz like this. I am in my late teens with normal, tanned tone skin and unknown eyes. My hair is unknown, unknown with unknown texture. Lickle-Boo, Amestarz and Jensayerxx like this. The colours in this palette are strong and blend out nicely due to the powdery formula, sadly this mean that there is a lot of fall out and the box ends up looking scruffy! There are sooo many dupes of this palette, much cheaper but with less to no fall out.